Annually, we encourage our friends and neighbors to become Life-Members of the San Carlos Friends of the Library (SCFOL). For an individual donation of $250, new Life-Members, joining before Oct. 30, will have their names added to the 2018 Life-Member Honor Wall plaque located in the Winer Family Community Room & Art Gallery. Friends’ memberships and donations are deductible as charitable contributions, matched by the city of San Diego, and fund the purchase of library programs and materials. At any level, join SCFOL on our website, or pick up an envelope at the library. We look forward to seeing you at our annual SCFOL General Membership meeting on Nov. 14. Our eight Summer Reading Program special events attendance was 768. Wow, we need more space! Our “After School Special” program on Wednesdays, 2:30–3:30 p.m., began Sept. 5. These delightful mid-week breaks for ages 5-10 include stories, silly songs, and crafts. New this fall are science, technology, engineering and mathematics (STEM) interactive classes presented by the League of Extraordinary Scientists (LXS). Sept. 26, 4–4:45 p.m., kids ages 8–12 will learn to extract DNA from strawberries when the league presents “DNA Chemistry,” and answers the question, “What makes living things physically unique?” Registration is required; please call 619-527-3430. “Do Your Homework @ the Library” is back for K–8 grades, Mondays and Thursdays between 3–6 p.m. and Tuesdays and Wednesdays between 3–7 p.m. The “In-N-Out Reading Program” will run Oct. 6–Nov. 17. Kids ages 4–12 can earn up to three certificates, one for each five books read. Each certificate is good for a free hamburger from In-N-Out. Sign up at the library’s front desk. Sept. 21, 2–3 p.m., Sarai Johnson from Save Our Heritage Organization (SOHO) will present “Remembering the Marstons: The Store, The Family, The Legacy.” Learn about this historic philanthropic San Diego family, their department store, the family’s progressive social and political views, leadership and legacy. George Marston helped direct the creation of Balboa Park and its two expositions, Presidio Park and the Serra Museum, Torrey Pines State Park and the Anza-Borrego Desert State Park. Marston is known as one of San Diego’s earliest, most prominent historic preservationists and environmentalists, as well as a lifelong supporter of the arts, architecture, and landscape design. His family continues his legacy. 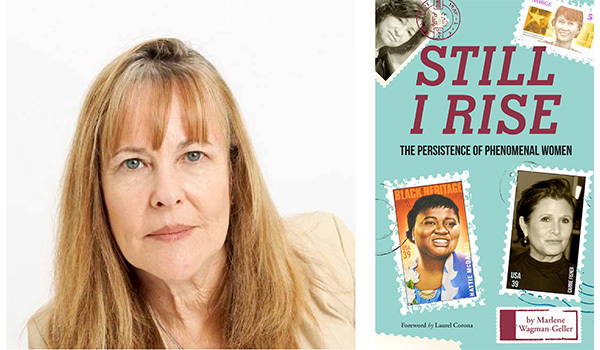 Sept. 28, 2–3 p.m., author Marlene Wagman-Geller returns to our branch to discuss her newest book, “Still I Rise: The Persistence of Phenomenal Women.” In this book, Geller delves into the lives of women who all share one thing: each became the “first woman to…” by fighting for and effecting a significant political or social change. Learn how the actions of these women helped shaped world history. Oct. 11, 12:30-2 p.m., the Library Book Club will discuss Mark Sullivan’s, “Beneath the Scarlet Sky.” Sullivan, a lifelong journalist, was an investigative reporter for the San Diego Evening Tribune. His novel is based on the true story of Pino Lella, an Italian boy during World War II, who fell in love with a Jewish woman while he was helping Jews escape over the Alps via the Underground Railroad. The plot thickens when Lella becomes the personal driver of one of the Third Reich’s most notorious commanders, giving Lella the opportunity to spy for the Allies inside the German High Command. Copies are located directly inside the library to your right. “One Book, One San Diego,” is a partnership between KPBS, San Diego Public Library, San Diego County Library, and 80 other community partners. The purpose of One Book is to encourage community conversations about the issues presented in the annual selection. Help us welcome One Book co-authors Congressman John Lewis, Andrew Aydin and Nate Powell at the San Diego Civic Theatre, on Sept. 21, 6:30–8 p.m., for the free (but tickets are required) launch of 2018’s One Book, One San Diego selection, “March: Book One.” This graphic memoir is the first of a trilogy, which describes Lewis’ youth in rural Alabama, his meeting Martin Luther King Jr., and the birth of the Nashville Student Movement. The KIDS companion 2018 One Book is, “ Blue Sky, White Stars,” a picture book written by Sarvinder Naberhaus and illustrated by New York Times bestselling- and Caldecott-honor-winning artist Kadir Nelson. A series of special events, book discussions, and film screenings will be held throughout 2018, exploring the themes of this year’s One Book: civil rights, social justice and discrimination. Go to KPBS.org/one-book for event topics and schedule. Sept. 5–Oct. 5, the Winer Family Community Room & Art Gallery will be filled with the unique works of two Spanish Village artists, Kathi Vargo and Beth McClellan. Vargo is a self-taught, mixed-media artist who enjoys creating artistic puzzles with paper and discarded objects. Vargo has won awards in Gallery 21 in Spanish Village Art Center for the Elements Show and the Small Image Show. McClellan is self-taught in the art of paper-cutting. While traditional paper-cuts are two-dimensional black silhouettes, McClellan layers colored pieces to create depth and three-dimensional works. A juried member at Spanish Village Art Center (SVAC) in Balboa Park, McClellan is a partner in Studio 32. Family commitments prevent these artists from having an artist reception, but you can find their individual price lists in the wall holder next to the door into the children section of the library. Sept. 19, 4–5:30 p.m.: SCFOL monthly meeting. Please join us. Oct. 5, 1:30–3:30 p.m.: Friends of the Library only, Used-Book Pre-sale. Join SCFOL during the sale. —Sue Hotz is board member and publicity chair of the San Carlos Friends of the Library. Reach her at publicity@sancarlosfriendsofthelibrary.org.